For an especially large, dramatic flower, few plants can top the amaryllis, and the variety Red Lion (Hippeastrum Red Lion) is one of the best examples. 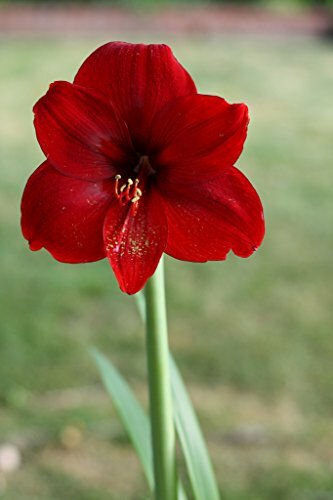 This plant grows from a large bulb and produces huge, bright-red blossoms when given some basic care. It grows outdoors in U.S. Department of Agriculture plant hardiness zones 9 through 11, and in zone 8 when given winter protection. It also makes a good houseplant or can be grown as an annual. Do great indoors in Zone 1-10, in a nice sunny Spot! Zone 1-10 when planted indoors. If you have any questions about this product by Daylily Nursery, contact us by completing and submitting the form below. If you are looking for a specif part number, please include it with your message.